Having a garden is a great step towards self-sufficiency. For beginners, it’s important to take time to learn and practice your gardening skills. 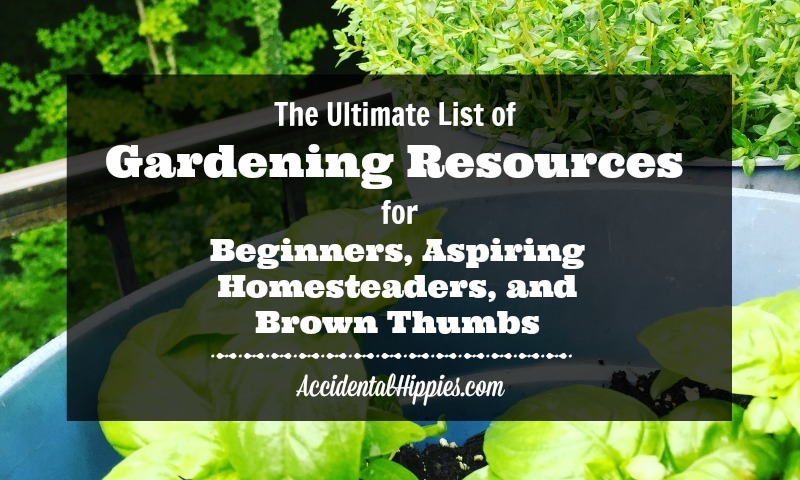 Check out this huge list of resources for beginning gardeners (and brown thumbs like me who need to up their gardening game). I’m a total brown thumb. We’ve had gardens in the past, but nothing to write home about. We gardened in a conventional way, we didn’t research a lot unless there was a problem, and you can bet money we’d never even heard about things like “permaculture” or “Back to Eden” gardening. In fact, the last time we attempted a garden was the summer I gave birth to our son (who turns four this year…geez). 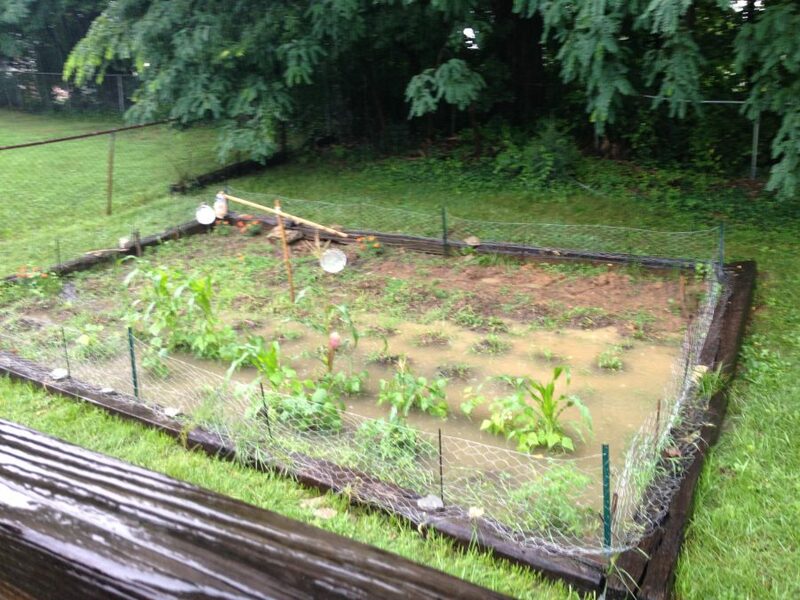 Suffice to say our garden lacked drainage or anything resembling a thoughtful, sustainable design. 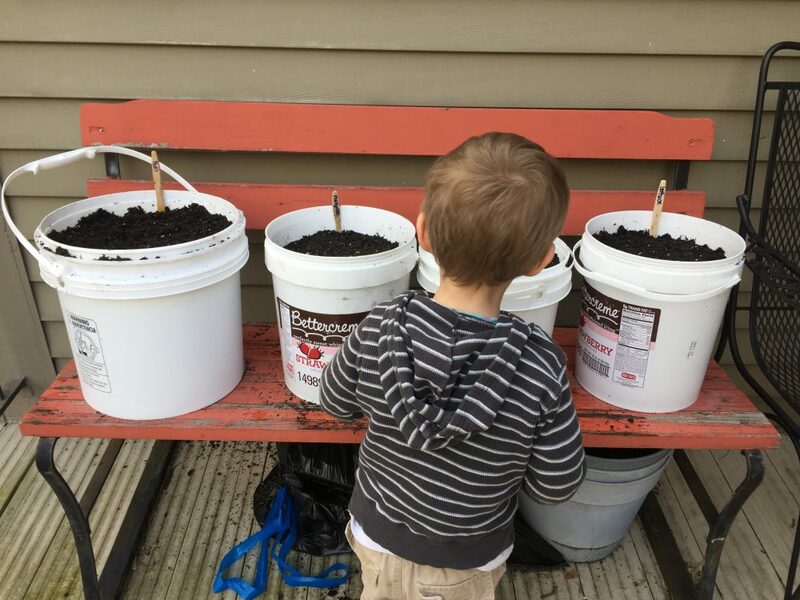 While we’re building our cordwood home, we’re taking time to hone some growing skills in a container garden. It’s been going better than the last attempts, but clearly we can use all the help we can get. That’s where this list comes in! Consider this list your ultimate go-to resource for gardening tips and advice. Feel free to bookmark it and come back whenever you need to reference something. I just took his Beginners course and it was awesome! Super affordable, highly knowledgable and engaging. He has loads of courses on there that you need to check out right now! Even though I’ve had gardens before, none of them were ever super productive. I know I need to improve my skills and his beginners course was exactly what I needed. He presents information in an informative and approachable way that leaves you feeling empowered to make better gardening choices. And for $20-40 a class (or $100 to get ALL of them) it’s a really good deal! Head on over to check it out! Real Cost of Raising a Garden from Melissa K. Norris – Melissa’s book The Made From Scratch Life also has some great garden planners and charts that are completely worth checking out. Head over to Amazon to get it now. This is a wonderful list! Thank you for compiling it all together in one place for us to browse. me with… Can you plant un-popped popcorn kernels? Awesome resource for new gardeners. Lots of different types of gardening to get into as well. Personally I like container gardening. Thanks for sharing!